Farming Simulator 2017 will support mods! Farming Simulator 17 releases October 25th, and we’re continuing our series of dev blogs to give you some insight into the exciting new features coming to this latest entry. Last time, we talked about vehicle customization – now, we’re here to tell you all about mods! Here at Giants Software, we consider modding to be an intrinsic part of the Farming Simulator experience. That’s why, in Farming Simulator 17, we’ve set up an extensive, organized system for implementing mods into the game – there’s now far greater mod support than any other entry in the series! It won’t just be PC players who will have the chance to enjoy the replayability that mods bring. In a series first, both Xbox One and PlayStation 4 have comprehensive support for modding in Farming Simulator 17! The Mod Hub is central to the Farming Simulator 17 modding experience for players. From the integrated Mod Hub, you can browse all currently available mods, separated into categories (Tractors, Harvesters, Maps, Objects, etc). There’s also the option to take a look at the recently added, most downloaded and top-rated mods. After entering a mod category, you can view all mods of that type. Once you’ve selected a specific mod, you can view its description, rating, screenshots, and the option to download it for yourself! Mods can be rated on our official website. As soon as a mod is first submitted, it will be placed into the ‘Beta’ category. Once it’s been checked and approved, it will be placed into the appropriate category as a normal release. Players on PlayStation 4 and Xbox One will be able to enjoy mods in Farming Simulator 17! Both consoles will have the same selection of mods to choose from. GIANTS is already working with modding teams to provide around 25 mods at launch. We’ve worked hard to create an intuitive system for players to create and share mods that are playable on both PC and console. Both consoles will support up to 4GB of installed mods. Mods can also support multiplayer. The PC community has always shown a great sense of creativity, and demonstrated huge commitment by adding quality content to the Farming Simulator experience. This year, with the support of Sony and Microsoft, we will be able to provide the best mods created by the PC community, and bring them to consoles. These mods will be checked internally before being released in order to meet all of the necessary console requirements. User created scripts are not allowed to be executed on consoles and must be removed from mods that wish to be available on consoles. 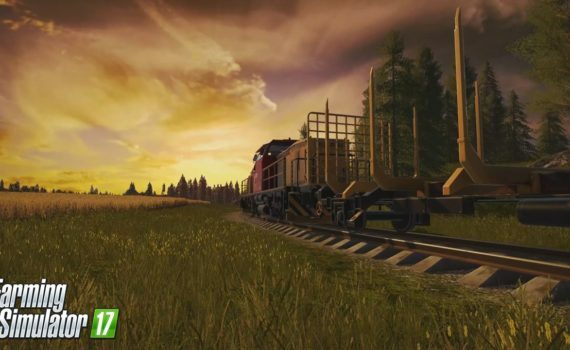 Vehicle and tools mods must use either existing Farming Simulator licensed brands, use a no-name brand or will need to be discussed with the GIANTS team. Maps can be made for consoles (as long as they do not use extra scripts). The excellent thing is that the exact same file formats are used on both consoles and PC/Mac (textures, meshes, sounds, etc.) which makes content creation and testing on PC for consoles very easy! Console players will be able to continuously enjoy new mods released regularly. These mods will guarantee an optimal and renewed gaming experience for all Farming Simulator 17 players. Thanks for reading the latest in our series of Farming Simulator 17 dev blogs – look out for future posts, where we’ll be going over even more of the exciting new features you can look forward to!